Who doesn’t love a good movie? Who doesn’t like a good fight scene? There are few things as great as a fun martial arts movie to motivate an aspiring martial artist to practice, practice and practice. In between all that practicing, grab a snack and watch some of these great martial arts movies from our very own Top Ten List of Best Martial Arts Movies. Bruce Lee, whose name is synonymous with the martial arts film genre, stars as a martial artist who utilizes an invitation to a martial arts tournament as a cover to spy on a local crime lord. A beautiful film by Ang Lee about a young Chinese warrior who steals a sword from a famous swordsman and pursues a romantic adventure with a very mysterious man. There’s romance in this one, along with the handsome actor, Yun-Fat Chow. What is a martial arts movie list without Chuck Norris? Definitely not an Oscar contender, but fun nonetheless. Violence is his last option….so he says. Steven Seagal plays a former Navy SEAL turned cook on the USS Missouri. Then terrorists show up and get more than they bargained for from this Aikido master. Legend of Drunken Master was Jackie’s final “kung fu” period style film of old, created in the 1990’s with a high level of martial arts action. This amazing Tarantino film highlights some very violent, but excellent fight scenes featuring strong and powerful women. Definitely not a film for children, but excellent regardless. A story about an obese, noodle-loving Panda who ends up being bestowed the role of The Dragon Warrior. His challenges with physical conditioning exercises such as stair climbing and balancing resonate with the less experienced martial artist in all of us. American soldier, obviously very skilled in martial arts, single-handedly takes on mercenaries in the Philippines. With the fighting and the ‘save the girl’ focus in the plot, this is a great movie for the inner 13 year old boy in all of us. Tom Cruise plays a captured American military adviser who embraces the Samurai culture he was once hired to destroy. There’s a lot of great fighting and sword work in this film. This movie was released when Tom Cruise was still cool (aka before the Oprah couch jumping incident). ‘The Karate Kid’ and its stars, Ralph Macchio and Pat Morita heroically brought karate and martial arts to the mainstream in this classic 1984 film. This movie is legendary and a must-see for any child wanting to pursue martial arts. It’s a also a fun movie for all of the nostalgic parents out there. There has never been a more fascinating film about painting fences and waxing cars. 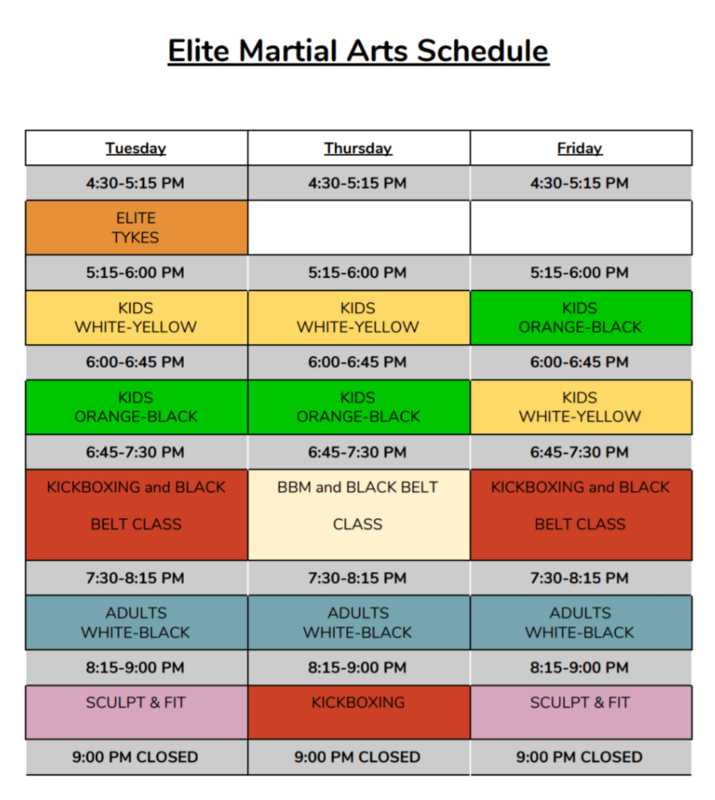 Enjoy Elite Martial Arts & Fitness Centre‘s Top Ten List of Best Martial Arts Movies. Thank you to the instructors, parents and students who contributed by sharing their favourite martial arts films. What is your favourite martial arts movie?